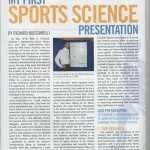 Soccer Fitness’ new article, “My First Sports Science Presentation”, written by Richard Bucciarelli, has been published in Inside Soccer Magazine’s 100th Issue (February/March 2013). 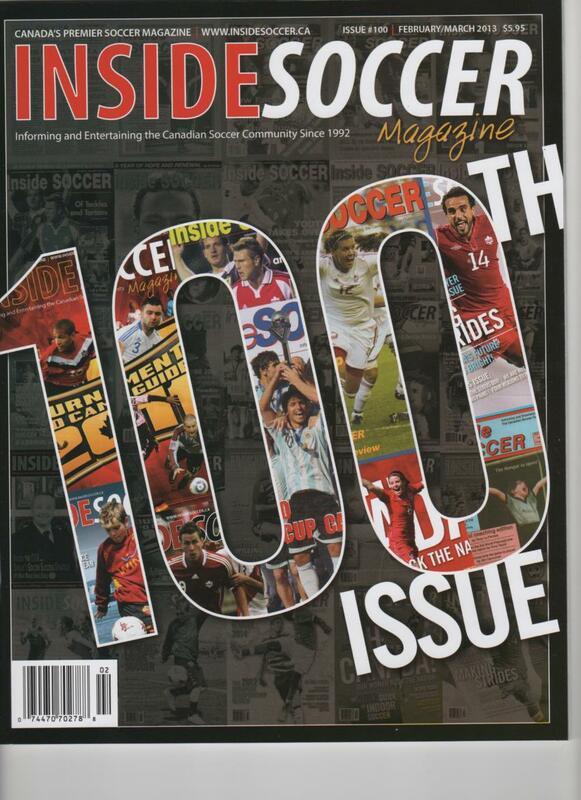 Issue #100 marks a unique milestone for the Canadian soccer magazine, and the themes of all of the content (including our article) are centred around past soccer experiences. 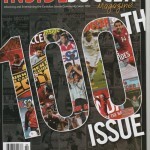 “It is a honor for my work to be published in the 100th Issue of Inside Soccer Magazine”, commented Richard, “I have been privileged to have had the opportunity to write for the magazine for over 6 years now, and I am looking forward to their continued success and another 100 issues!”. 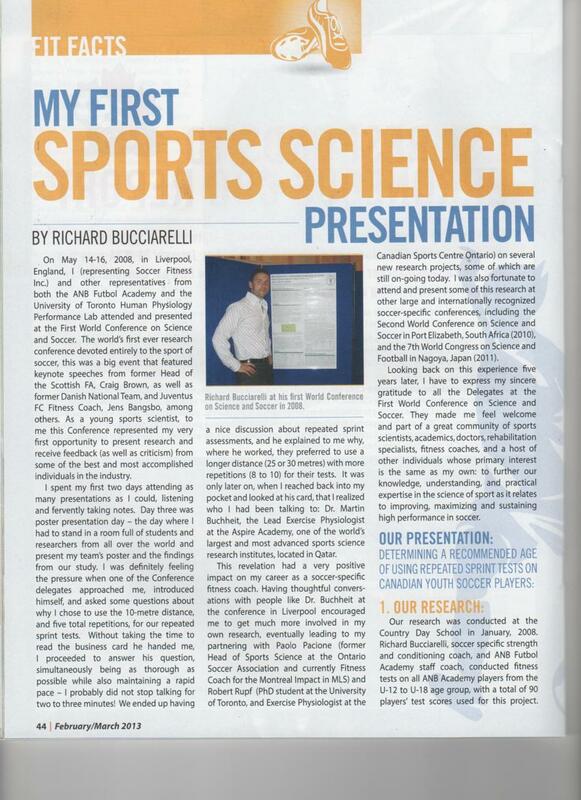 Our article discusses our very first published abstract at an international sports science conference – the 1st World Conference on Science and Soccer in Liverpool, England, in May of 2008. 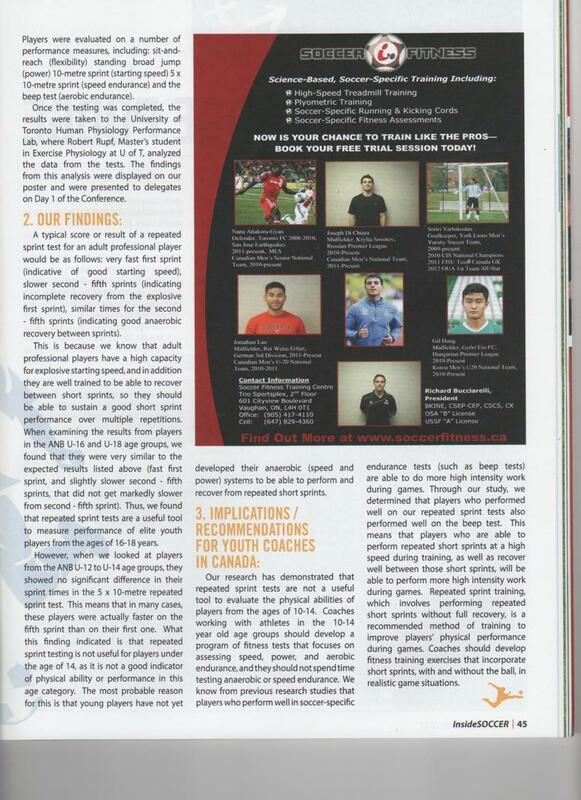 To view the article, click HERE to visit the “Our Articles” section of our Member’s Area.